The "Fearless Girl" statue was installed last month by Boston-based State Street Global Advisors. NEW YORK — The sculptor of Wall Street’s ‘‘Charging Bull’’ statue is accusing New York City of violating his legal rights by allowing the ‘‘Fearless Girl’’ statue to be installed facing the bronze beast, without his permission. Attorney Norman Siegel said that Arturo Di Modica will explain at a news conference Wednesday exactly how he’s challenging city officials who issued a permit for the bronze girl to stay until February. Siegel said he’s demanding that the city release documents showing what procedures were followed. Artist Kristen Visbal’s figure was first placed on a traffic island near Wall Street on March 7, on the eve of International Women’s Day, to make a point: There’s a dearth of women on the boards of the largest US corporations. Di Modica calls the statue an ‘‘advertising trick’’ created by two corporate giants — Boston-based State Street Global Advisors and McCann, its New York advertising firm. 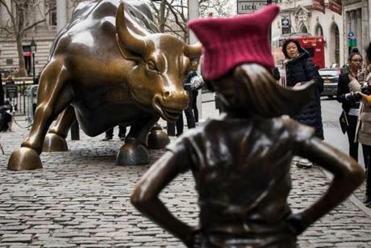 The statue, which shows a girl looking defiantly at the Wall Street bull, was installed this month by Boston-based State Street Global Advisors. 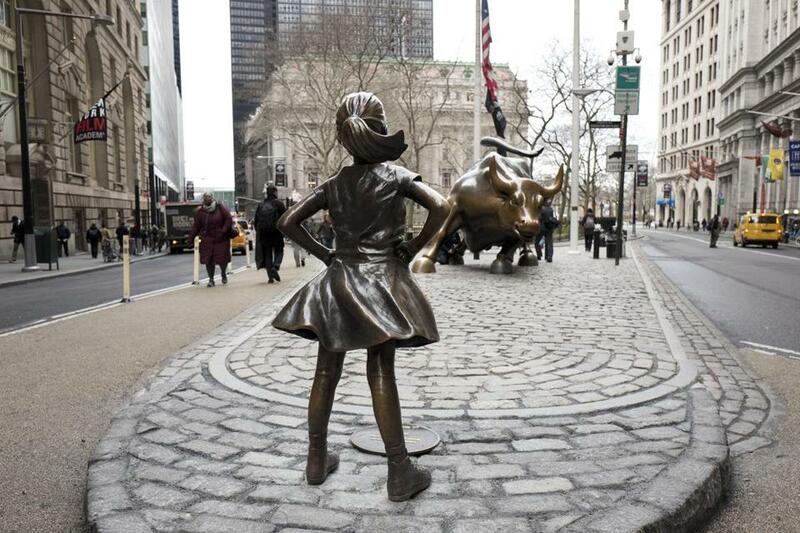 The Italian-born sculptor says the presence of ‘‘Fearless Girl’’ infringes on his own artistic copyright to the ‘‘Charging Bull,’’ by changing the creative dynamic to include the other bold presence. There was a time when ‘‘Charging Bull’’ was in a position similar to the ‘‘Fearless Girl’’ — waiting for the city to allow the piece to stay.